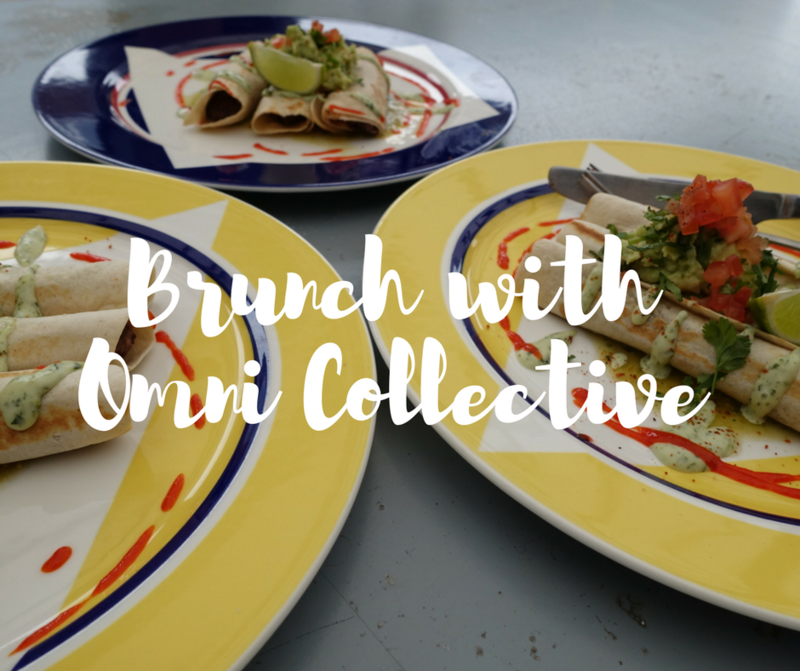 Brunch with Omni Collective - What's Katie Doing? Last weekend I was invited to attend brunch in Hackney Wick as part of a competition from the Love Pop Ups London group*. 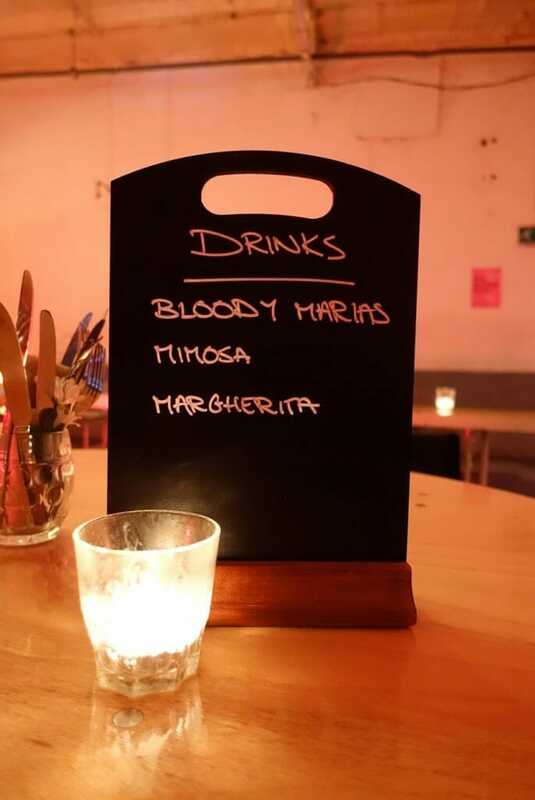 After finding my way to The Yard Theatre near the station I was welcomed with a choice of drinks. I chose to go with a classic mimosa option – this one was made with orange juice and sparkling rose. The Bloody Maria was a Mexican riff on a Bloody Mary (and without the Worcestshire sauce…) and of course a classic margherita with chili salt rim. The menu changes each month – Jess told us that they pick a different country to focus on food from, this month was Mexico in honour of it being Cinco de Mayo (hence the Margherita and Bloody Maria!). 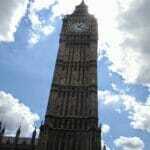 The menu includes 3 courses and two drinks for £22 when prebooked, or for £25 on the day without booking. 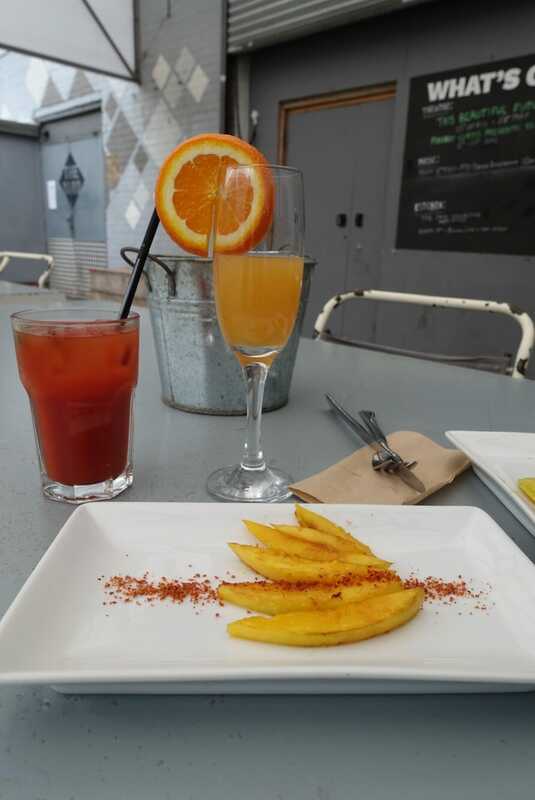 Our starters were grilled mango with a chili salt. I think you’d agree that it looked beautiful! The sweetness of the grilled mango (served warm) offsets the salt and chili flakes. It’s reminiscent of a traditional South East Asian dish of sour green mango with chili salt. The savoury dish of the main was a taquito – thats a baked taco shell rolled up around a filling and topped with various sauces. 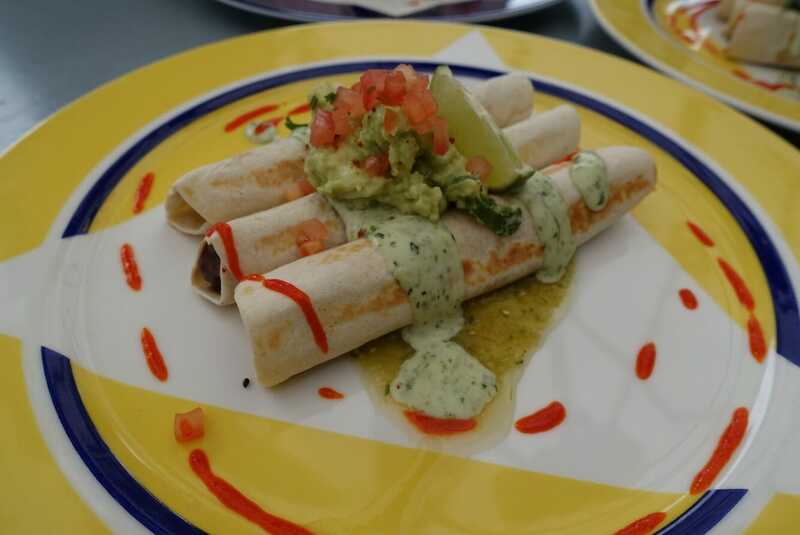 Ours was filled with refried beans and served with guacamole, salsa verde and a coriander cream with decorative hot sauce on the plate! If only you could smell this! It was totally delicious! I do adore their plate collection also! 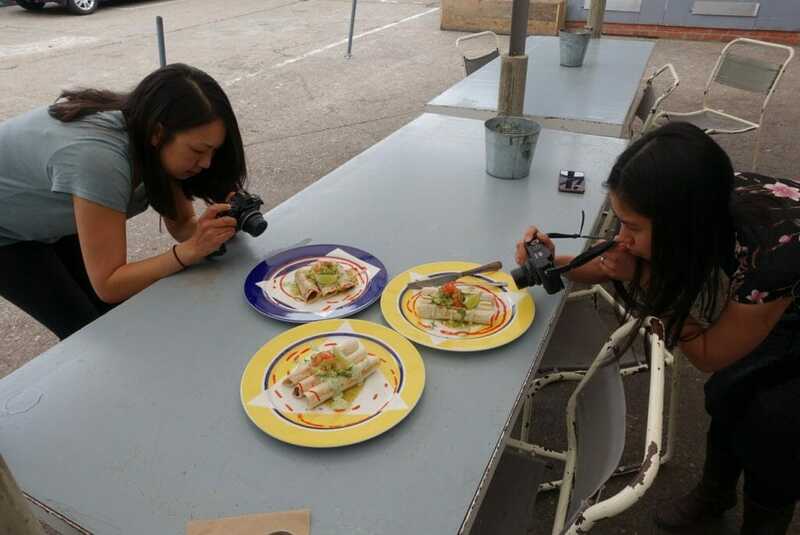 Candid shot of bloggers hard at work! I devoured my main instantly (well straight after taking the photos obviously!). Omni also cater for gluten free, so one of my fellow bloggers plumped for that option instead and also cleared her plate. 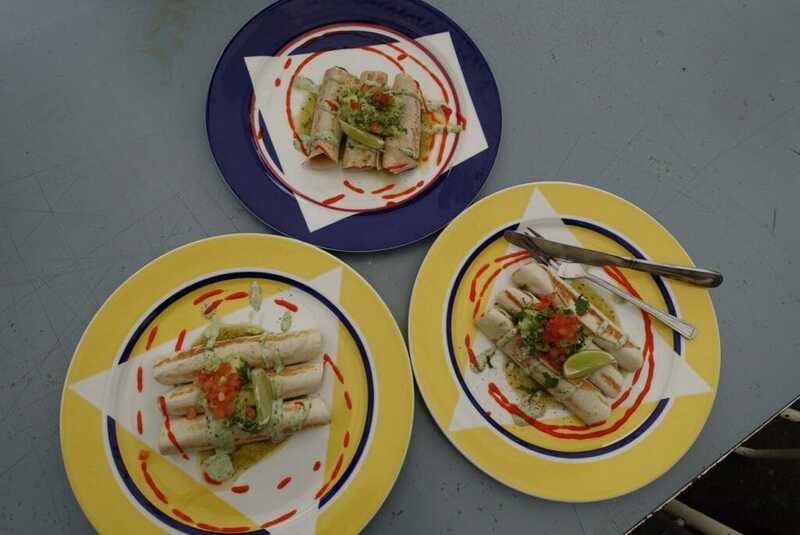 We all agreed that the taquitos were super tasty and very typically Mexican with the flavouring. I do love something sweet after having strong flavoured savoury dishes, so I was looking forward to the churros. 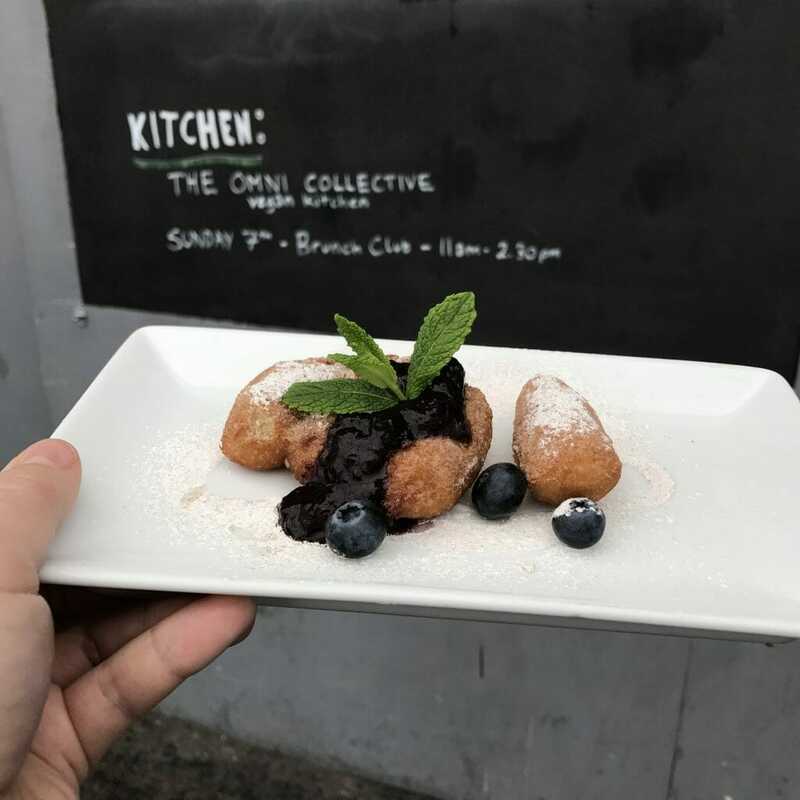 Churros with a mixed berry compote. The churros were deep fried parcels of pastry – crispy on the outside and doughy in the middle (apparently they are meant to be like this, one of the ladies suspected it was undercooked, but no…). 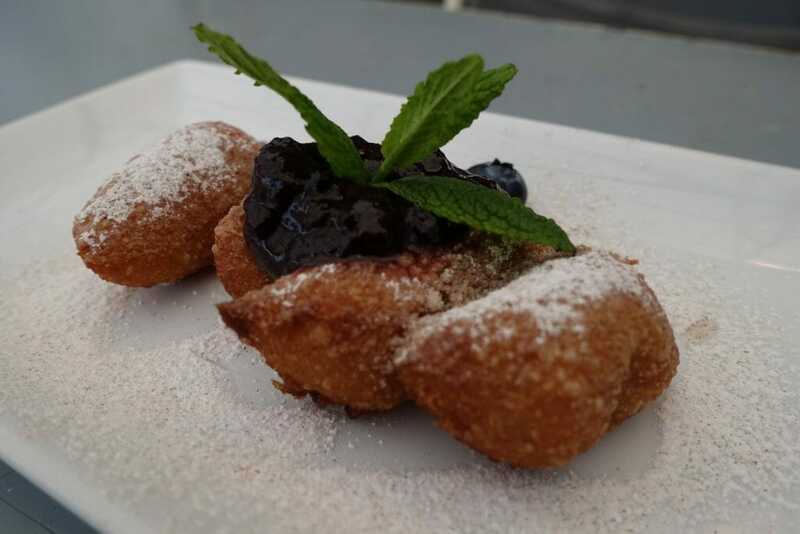 Dusted with cinnamon sugar and served with the very flavourful berry compote, they were the perfect sweet, but light, end to the meal. Did you realise it was vegan?! Jess and George are the two chefs and they moved from pescatarian “Diner” food under the name of Pesky’s, to Omni Collective when they both decided to go fully vegan. 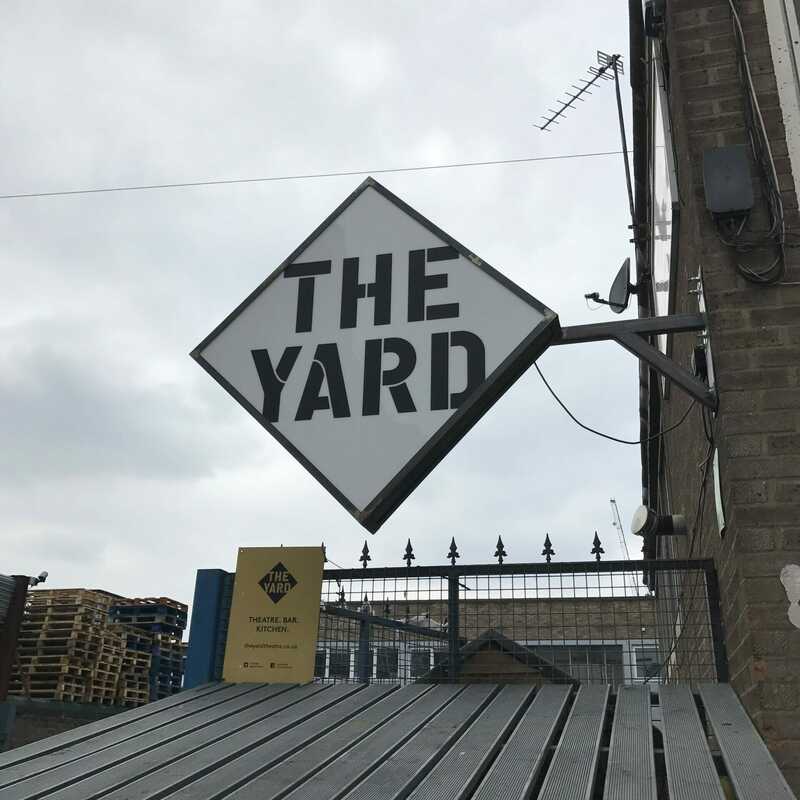 The brunch is once a month at The Yard, with the menu focusing on a different country each month. 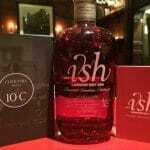 During the week they are open from 6pm in the evenings with a different, all vegan, menu. The name was decided as Omni as everyone from all religions can eat it! They chose vegan as part of a healthy lifestyle. 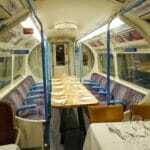 They can cater for vegetarians and provide gluten free meals also. One thing I have in common with them is a passionate hatred of fake meat!! Jess says that they try to avoid using ‘replacement’ meat products (e.g. Quorn mince or vegan sausages). They do however experiment with vegan alternatives – for example cashew cheese using nutritional yeast to get that cheesy flavour. This works very well in ‘cheese’ sauces but not as a hard cheese! (I can confirm that vegan mac and cheese does taste cheesy!). 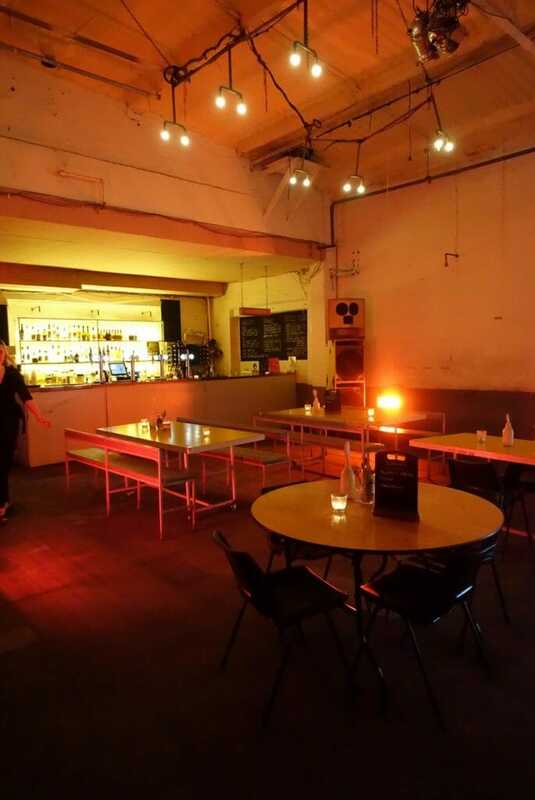 This place will be packed in the summer when the tables are all outside in the sun – so make sure you get to visit, especially if you want to be inspired and try flavourful vegan food. 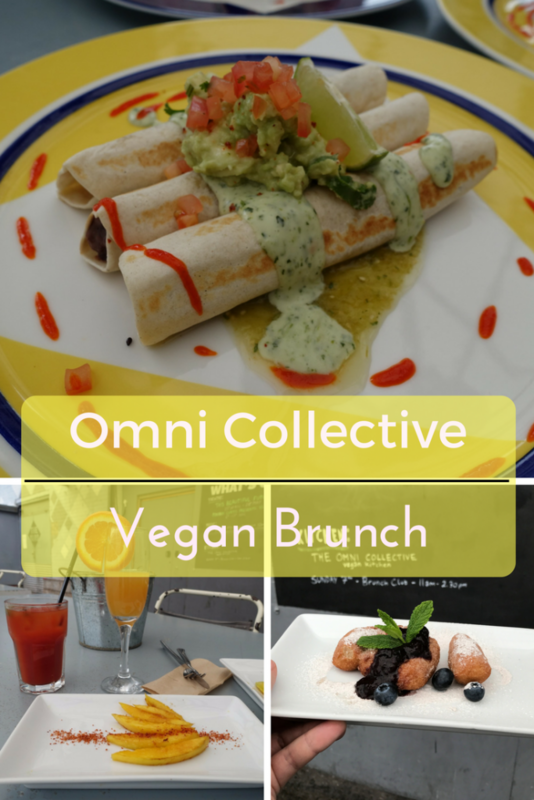 *Disclaimer – I was a guest of Omni Collective and was provided the meal for free. All opinions remain my own.